Your motorcycle helmet is the most important piece of the equation once you decide to get a bike, and the accessories that go with it allow you to make it your own. 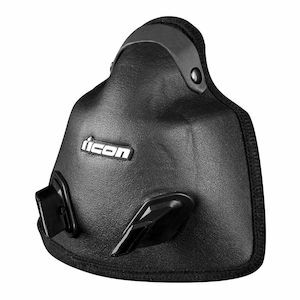 With Icon helmet accessories you get the option not only to customize the look of your favorite lid, but also to optimize comfort, as well as extend the longevity of your investment. Helmet accessories such as optional tint Face Shields, replacement side plates, cheek pads, and liners all work together to help you get the most out of your time in the saddle. Helmet accessories are something that Icon puts a lot of effort into. As a brand that is known so well for its unique and ever-changing style, Icon does a great job of keeping their selection of helmet accessories up-to-date with the helmets that they compliment.